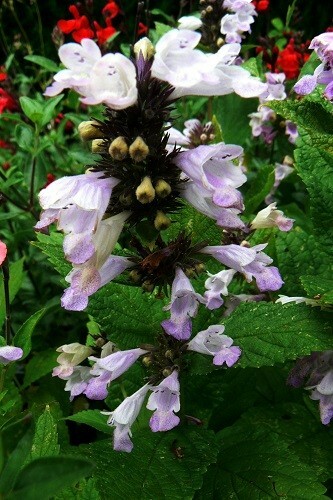 This variety is one of our own seedlings. 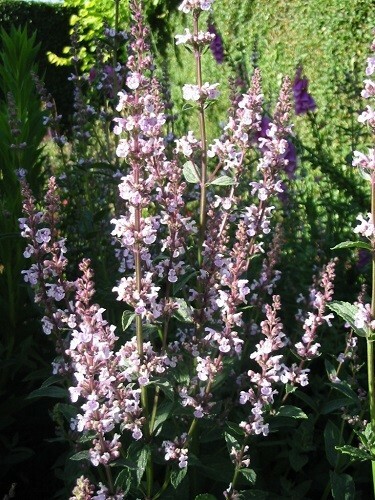 Growing to 150-160cm with stiff erect stems that do not need staking this plant makes a pink 'cloud' of flowers in summer. 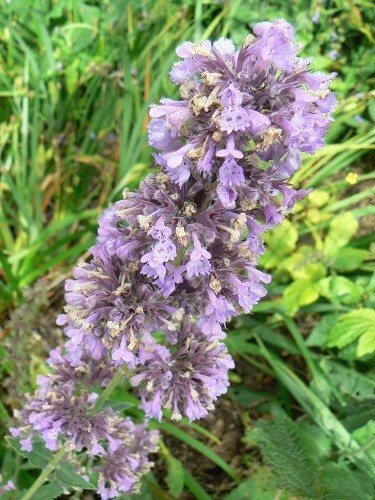 40- 60 cm The violet-blue flowers accent aromatic grey-green foliage. Long blooming season. Said to be rabbit resistant? Best in a sunny position. I consider this as the best Nepeta for display. 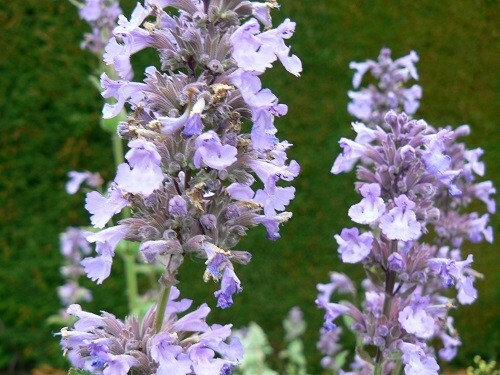 Nepeta grandiflora 'Pool Bank' is an upright grower standing taller and not as sprawling as ‘Six Hills Giant’, The foliage is grey-green, with tall branched spires with bluish lavender flowers. Full sun. A few large plants PB2 available now. 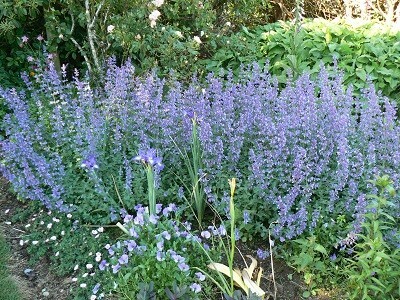 Lavender blue flowers. 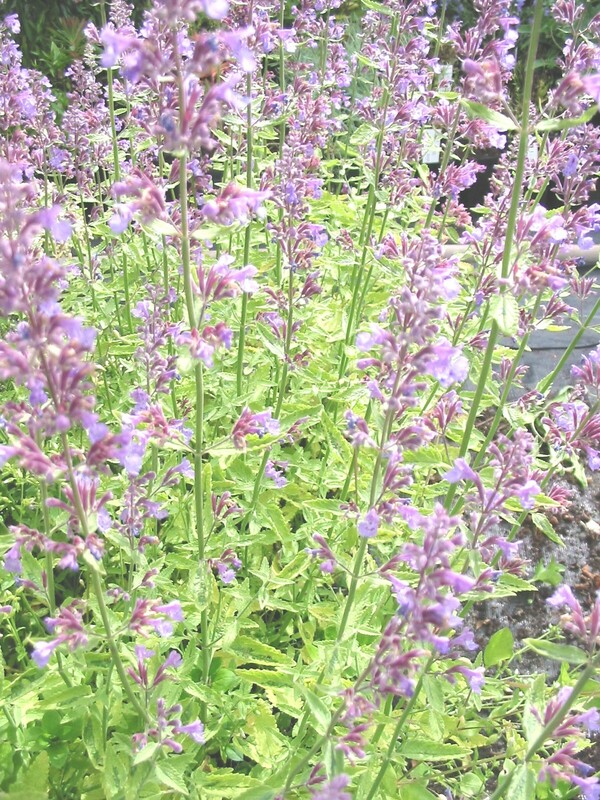 Grows to 80cm, prefers full sun well drained soils. 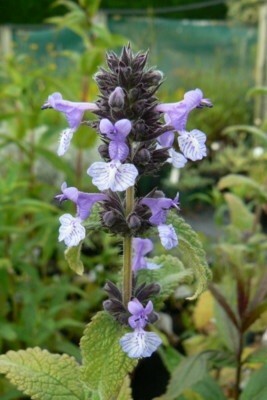 A very popular variety. Cut back after flowering to promote new flowering.